Whatever happened to Leveson? A guide for the perplexed. 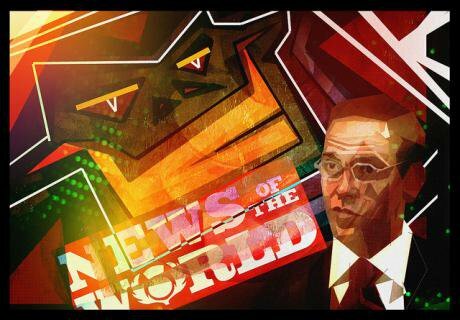 Image: James Murdoch closes News of the World after phone hacking scandal (Surian Soosay/Flickr) - but what else has changed, after all that? Last week the culture minister Matt Hancock announced the government’s response to the public consultation on the Leveson Inquiry and its implementation. The government announced it will not continue with the Leveson Inquiry Part 2 that was supposed to consider corrupt relations between police and media (the part of Leveson that was unable to proceed at the time because of court cases that were ongoing). And it will repeal Section 40 of the Crime and Courts Act 2013 – the section that deals with effective press regulation. For those who have lost track of this protracted process it is worth a quick flashback to November 2012 when the Leveson report was published after an 18 month inquiry. Leveson detailed how the newspaper industry had become too powerful and how meaningful reform was needed to restore public confidence. Leveson emphasised that his recommendations were about enshrining press freedom and ensuring that any subsequent regulatory system was independent from government, albeit underpinned by statute. He also had to satisfy the many victims of press abuse that his recommendations would bring about an independent system with teeth, ensuring that the press could not “mark their own homework”. David Cameron had initially said he would implement the Leveson recommendations unless they were “bonkers”. The press responded with simplistic invocations of “free speech”. But freedom without accountability is simply the freedom of the powerful over the powerless. The freedom to run roughshod over people’s lives causing harm and distress for the sake of increased sales and revenue. Freedom of the press must be balanced by freedom of the public to assess and challenge the nature of that communication. Democracy requires protective and enabling legislation and that is why it exists in other areas of public life. However Cameron soon caved in to the press lobby, saying that any statutory underpinning to press regulation would be “crossing the Rubicon”. Instead he opted for setting up a new press self-regulatory body, not by statutory underpinning as Leveson had recommended, but by Royal Charter. Initially, it looked like the press lobby were willing to accept this (it was, after all, devised in response to their concerns), but when it became clear they couldn’t fully control the terms of the Charter, powerful press interests soon repudiated it and backed away from setting up self-regulators under its terms. Instead they revamped the discredited Press Complaints Commission and called it the Independent Press Standards Organisation (IPSO) – an organisation run by the industry, outside of the Royal Charter system of recognition, that meets fewer than half of Leveson’s recommendations. This has been a consistent pattern established over the last five years – where the Press appear to be sympathetic to at least some of Leveson’s recommendations but over time repudiate most of them and then proceed to do exactly as they like. This brings us to Section 40 of the Crime and Courts Act – the section that Matt Hancock has just announced the government will repeal. A crucial part of the new Royal Charter system relied on persuading the press to join a recognised regulator. Leveson knew this wouldn’t be easy and so devised a system of carrots and sticks. Section 40 of the Crime and Courts Act embeds this in law. Under this law, if a news publisher joins a recognised regulator then access to low cost arbitration becomes mandatory, removing the threat of potentially huge losses both for ordinary citizens harmed by press behaviour, and for publishers threatened by a wealthy litigant (the carrot). But if a newspaper refuses to join a recognised regulator and thereby refuses to offer affordable access to justice, then they will be liable to pay all court costs for cases against them (the stick). The new system of regulation also includes protection against trivial and malicious claims, and against local and regional publishers being caused financial hardship. Section 40 is integral to the success of the Royal Charter framework of press regulation and the press know it. Consequently, even after Section 40 had become law (but had not yet come into force) much of the press went on a propaganda offensive against it. Karen Bradley, then Secretary of State for Culture, Media and Sport capitulated to increasing pressure by putting the commencement of Section 40 – already agreed by parliament – back out to public consultation. During this consultation period, the press engaged in a shutdown of debate over media reform. And this week, Matt Hancock has announced Section 40 will be repealed. His government has given two reasons. Firstly, they claim that IPSO is doing a good job. One of the witnesses to the Select Committee was Sir Alan Moses, Chair of IPSO. Moses explained that IPSO had received 8,148 complaints in a single year relating to discrimination but that only one of those had been upheld. Moses said that this figure reflected the nature of Clause 12 of the Editors code that only allowed complaints of discrimination to be upheld when they are made against individuals and not a group of people such as Muslims, LGBTQ+, migrants, refugees, women etc. In other words it “gives license to general discrimination by explicitly excluding it from its definition” (Moore and Ramsey, 2017). So it’s fine to invoke Nazi rhetoric by talking about “the Muslim problem” as Trevor Kavanagh (then on IPSO’s Board) did in his column in The Sun, for example. The Editors’ code committee is chaired by the editor of the Daily Mail, Paul Dacre – the newspaper which has been found to have breached the code most often. The committee revised the Code in 2015 and knew precisely what it was doing. And so, it is perfectly happy to consider 8,148 complaints relating to discrimination and say that there is not a problem. IPSO is working just fine (if you happen to be a newspaper editor). Funnily enough none of the mainstream press covered the Select Committee hearing (apart from the Press Gazette a week later, after being called out on its failure to do so). Does digital really weaken press power? Secondly, the government argues in its response to the consultation on the argument that the media landscape has changed. So for example whilst “the percentage of adults reading online news, newspapers or magazines has tripled from 20 per cent in 2007 to 64 per cent in 2017”, Ofcom research shows that the percentage of adults who read newspapers (excluding online versions) has fallen from “40% in 2013 to 21 per cent in 2016”. The argument seems to be that the power of the press is diminishing rapidly in the digital era and we should no longer be worried about it. It is probably because most people’s news still comes from the mainstream news media that constant polling has shown high levels of support for media reform and a firm rejection of press manoeuvring. A poll undertaken by YouGov for Hacked Off in January 2017, after an onslaught of anti-press regulation coverage across all news media, still showed that 73 per cent of the public thought press behaviour had either got worse or not changed since the Leveson enquiry. So why did the government consultation claim that most responses (79%) favoured full repeal of Section 40? They chose to count only ‘direct responses’, many of which (they acknowledge) were the result of newspapers encouraging readers to respond. Other organisations who encouraged members to respond such as Avaaz and 38 Degrees - with a combined total of 200,428 responses all supporting Leveson 2 - were ignored because they were not considered to be ‘direct respondents’. How convenient. It is worth reflecting on the history of failed press regulation. The first Royal Commission on the Press (1947-49) led to the press industry creating the General Council of the Press (1953). Dissatisfaction led to the second Royal Commission on the Press and to the General Council being replaced by the Press Council in 1962. In 1972 the Younger Committee report on Privacy was critical of the Press Council, which rejected their concerns. In 1974 a third Royal Commission on the Press looked into editorial standards and freedom of choice for consumers. It suggested a new written Code of Practice. The Press Council again rejected the Commission’s suggestions. In 1990 the Calcutt Committee was established to look into press intrusion. Calcutt recommended replacing the Press Council with a new Press Complaints Commission (PCC) and a new Code of Practice. In 1993 Calcutt reported on the progress of the PCC. He determined that sufficient progress had not been made and recommended the introduction of a Statutory Press Complaints Tribunal. Once more the press industry objected and the government failed to act on the recommendation. In 1995 the National Heritage Select Committee published a report on privacy and press intrusion and made recommendations on a new Statutory Press Ombudsman. The press objected and yet again the government yielded and rejected the recommendations. In 2009 the PCC published a report in response to the Guardian phone hacking investigation ‘Phone Message Tapping Allegations’. In July 2011 the Leveson Inquiry was announced. The discredited PCC was replaced by the Independent Press Standards Organisation (IPSO) and the majority of the mainstream press signed up to it. But, IPSO refused to be part of the system of press regulation under the Royal Charter. What this history tells us is that the press have consistently promised to self-regulate adequately and consistently failed to do so. The government, keen to maintain good relations with the press, has consistently bowed down to industry pressure. Only this time something is different. The campaigns for media reform are now well established and reach across a vibrant and angry civil society that believe society deserves a free, fair and accountable press. We are not going away.